Celebrate the genius, music and phenomenon of John Lennon. 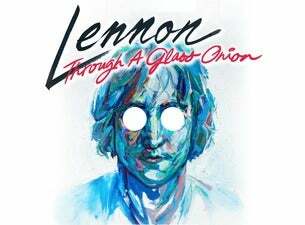 Lennon: Through A Glass Onion comes to Auckland for a New Zealand exclusive following its sold out seasons across New York, Australia and the UK! Award-winning Australian actor and singer John Waters (Offspring,Underbelly, Godspell, Hair) takes to the stage with accompanist Bill Risby (Leo Sayer, The Supremes) to perform Lennon: Through A Glass Onion – part spoken word, part concert – a celebration of one of the most distinctive voices of his generation: John Lennon. Featuring a catalogue of Lennon’s greatest songs including Woman andJealous Guy, as well as his collaborations with Paul McCartney including A Day in the Life, Strawberry Fields Forever, Revolution and Lucy in the Sky with Diamonds, this intimate production reveals the essence of the life and times of one of the most admired icons of all time.